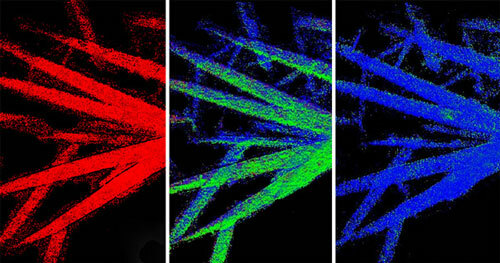 In a move that could improve the energy storage of everything from portable electronics to electric microgrids, researchers have developed a novel X-ray imaging technique to visualize and study the electrochemical reactions in lithium-ion rechargeable batteries containing a new type of material, iron fluoride. 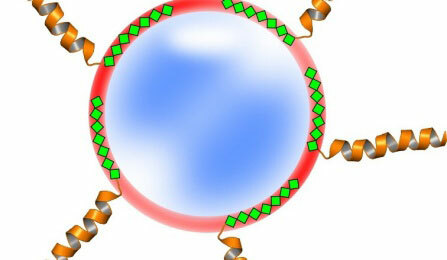 New nanobiotechnology method could lead to development of HIV vaccine, targeted cancer treatment. 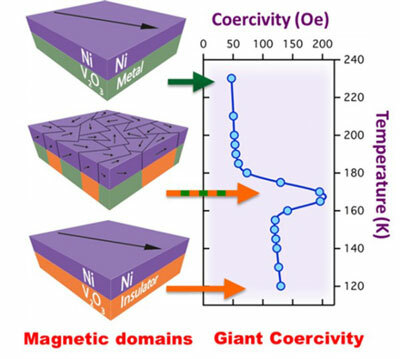 Magnetic property changes by several hundred percent over a narrow temperature range. 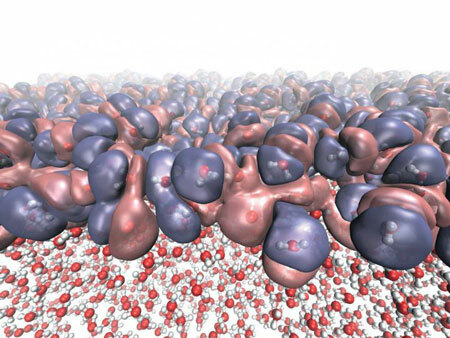 Scientists have used a new quantum model to reveal the molecular structure of water's liquid surface. Researchers have established a theoretical framework to understand the elastic and electronic properties of graphene. VTT Technical Research Centre of Finland Ltd has developed a new, cost-efficient method of producing various types of metallic nanoparticles. Scientists are working on storing and processing information on the level of single molecules to create the smallest possible components that will combine autonomously to form a circuit. 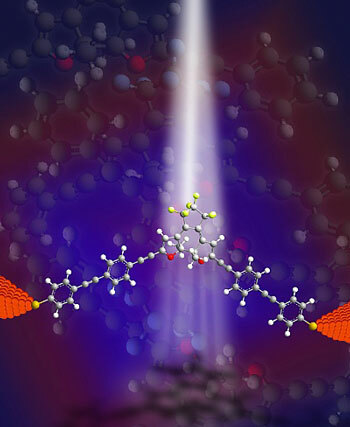 As recently reported, the researchers can switch on the current flow through a single molecule for the first time with the help of light. The University of Nebraska-Lincoln has earned a $9.6 million grant from the National Science Foundation to support its Materials Research Science and Engineering Center and its nanotechnology research through 2020. It can shift from red to green to violet. It can mimic patterns and designs. And it can do all of this in a flash - literally. A new paper describes how an accurate statistical description of heterogeneous particulate materials, which is used within statistical micromechanics theories, governs the overall thermo-mechanical properties. 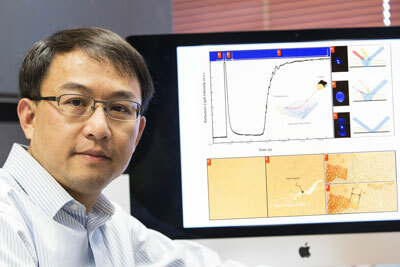 Researchers have shown they can replace the lithium ions, each of which carries a single positive charge, with magnesium ions, which have a plus-two charge, in battery-like chemical reactions, using an electrode with a structure like those in many of today's devices. 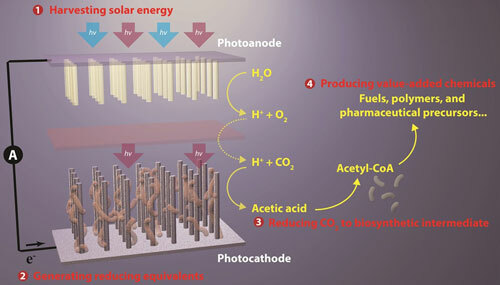 Besides achieving greater resolution and sensitivity, the materials used in these new devices are much cheaper and more versatile than the ones used in current technologies (mainly gold and noble metals) so they could offer a potential alternative in the design of biomedical sensors. 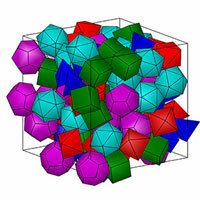 The mechanosynthesis of cage compounds suitable for storing gases can be monitored in real-time with the help of X-ray powder diffraction. 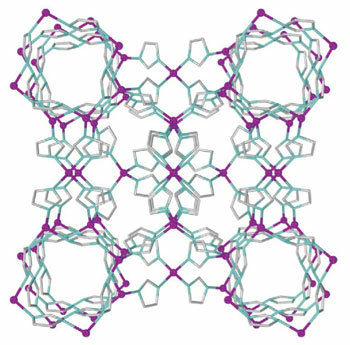 Molybdenum disulfide sheets - which are 'sandwiches' of one molybdenum atom between two sulfur atoms - may improve rechargeable lithium-ion batteries, according to the latest research. For a condition such as epilepsy, it is essential to act at exactly the right time and place in the brain. 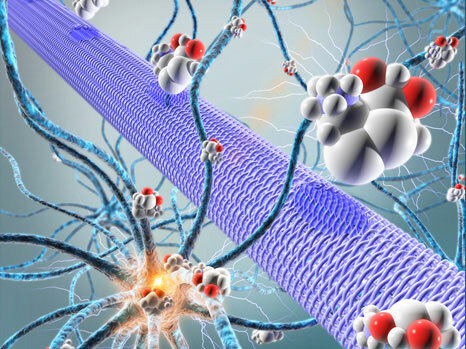 For this reason, researchers have developed an organic electronic micropump which, when combined with an anti-convulsant drug, enables localized inhibition of epileptic seizure in brain tissue in vitro.